Looking for Caribbean investment property? Some of the best deals are here! Thinking about purchasing Caribbean investment property? 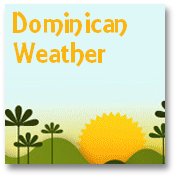 Well now is the perfect time to consider Dominican Republic real estate. For a shrewd investment or for a place to take vacations, or maybe a permanent home in the sun - there has never been a better time to buy real estate in the Dominican Republic. The Dominican Republic - which as we have explained before is often referred to as the Caribbean's best kept secret - has remained in the shadow of the many better known hot-spots. The biggest advantage of this 'low profile' is now becoming apparent. For even though the property market in the Dominican Republic has become increasingly active in the last two or three years there are still more interesting properties – in terms of qualities and value – compared with almost anywhere else that you might find similar Caribbean investment property. Whether you are looking for any kind of property from a simple investment vehicle, to a commercial property, a vacation property or holiday home, or a more permanent place to reside - or retire to – the Dominican market has a great deal – and some 'great deals' to offer. With a proper framework for purchasing Caribbean investment property in place, and a stable and forward thinking Government, the Dominican Republic has been transformed from what WAS once possibly a 'risky' place to buy property – to a secure market place with the customary safe-guards expected in any major property market in the World. 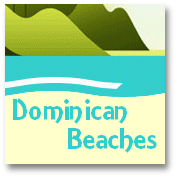 Purchase Dominican real estate with confidence! The property market infra-structure now includes a growing number of reliable and legitimate real estate agents who can speak a range of major world languages. A Caribbean investment property transaction in the Dominican Republic is no longer one that takes place in a bar over a rum and a handshake – like as not with someone with only a partial (if any) claim over the land or property – as might have been the case a decade or so ago. Now there are numerous international as well as Dominican Legal Practices that specialize in high quality support for property transactions. The eagerness of the authorities to ensure that the Dominican Republic is seen as a prime spot for Caribbean investment property has helped ensure that the market place is a safe as any to do business in, and the purchasing process is more transparent and straightforward than it is in many other parts of the World. There are now NO restrictions relating to property purchase by foreign investors – whether looking for property with personal, or perhaps commercial, intent. In fact one consideration that you will need to make is whether it is better for you to purchase a property, or land, as an individual or perhaps to become 'incorporated' and set up a 'Dominican business' to front the purchase. There may be good reasons to consider this. Any transactions that are undertaken through a Dominican business entity may provide advantageous taxation implications. This issue is just one of the things a good real estate company, and/or your Dominican legal advisor will be able to help you with. But rememeber, the 'usual' advice still holds true, that you should apply all the same caution, and exercise the same due-diligence as you would when purchasing on your home turf! It is surprising that when folks are in a vacation-mood, of have that 'holiday feeling', they sometimes leave their common-sense behind even over matters that may cost them many thousands of dollars, pounds or euros! Buying Caribbean investment property could be easier than you think! The process of purchasing a property should involve a legitimate agent, who can guide you through the property options, and who knows the local market, and speaks both Spanish and your own language (Whether this is English, French, German or Italian you should choose a realty specialists who not only speaks your language, but also speaks the vendors language with equal ability!). Naturally, when seeking Caribbean investment property, some of the main choices you will have to make will relate to the location, and the type of dwelling you are interested in. For many your first thoughts may involve looking for a house, villa, apartment or condominium close to the sea! 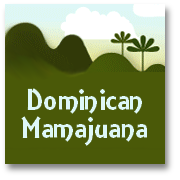 But, there are numerous other interesting possibilities in the Dominican Republic. As a relatively large country by 'regional standards' the Dominican property market has a wider range of opportunities than most other places that offer Caribbean investment property. For some it may be appropriate to consider buying in or near a popular resort town, particularly if you wish to purchase a property for occasional vacations, but which also provides you with year-round rental potential when you are not there. 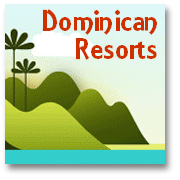 So some of the attractive and lively Northern Dominican Republic holiday resorts might well become your 'prime targets'. Places like sparkling Sosua, kite-boarding capital Cabarete, and pulsating Puerto Plata and its environs may feature high on your list. These areas not only offer a wealth of villas and small houses, but you will also be able to find a wide range of apartment type properties. As far as investment property in the Caribbean goes – offering great access to well established resorts, and a range of new, refurbished and older properties your choice is likely to be wide. Alternately, if you enjoy a more laid back tropical vacation yourself, and would like to let to like-minded individuals – you might want to consider the property market around Las Terrenas, or further on around the beautiful coast of the Samana peninsula. In these areas you will find some exceptional villas, and other smaller houses that provide potential for a broad spectrum of investment budget. Looking for ideal Caribbean investment property away from the tourist crowds? Should you be looking to relocate permanently to the sun-drenched Dominican Republic, then it may be that you would like to find somewhere a little further away from the holiday crowds. This is in some respects where the Dominican Republic comes into its own as an area for finding your ideal Caribbean investment property. Inland the Dominican Republic offers some wonderful small towns and villages, with verdant, tropical surroundings. The quieter backwaters are naturally Spanish speaking, so a reasonable grasp of the language would be a real benefit. Some places offer both property investments that are great value, as well being areas that already accommodate a number of international 'in-comers'. Take, for example Jarabacoa, a town in a picturesque setting. Positioned around 800m up into the main mountain range that runs along the spine of the country, Jarabacoa, home to nearly 30,000 residents, is a particular favorite. Set amidst some wonderful surroundings - forest areas that speak of the town's former glory as a coffee growing center, waterfalls, and large villas with somewhat alpine 'look' are just some its numerous attractions. Many wealthy Dominicans have a weekend retreat in this area, attracted by its slightly cooler and refreshing atmosphere, thansk to its elevation. Or consider La Vega, a smart provincial city with a premier reputation for hosting one of the Dominican Republic's best 'Carnavals' – many would say THE best! This highpoint of the year can swell this agricultural center's population of over 100,000 to almost as much again. Once a hub for sugarcane and tobacco production – La Vega features the impressive Catedral de la Concepción. Although La Vega originally grew up around a fortress, created by Columbus in the late 1400's to store gold mined in the region, the whole place was virtual razed to the ground by an earthquake in 1562. For the Caribbean investment property hunter with an inland agenda, in these geologically more 'settled' times of the 21st century, there may well be something there worth considering in and around La Vega. Maybe you would like to take in the lush beauties of somewhere like Bonao, which is set in the very heart of the Dominican Republic. Although it is a commercial town, most of whose inhabitants are one way or another involved with local mining activity - it is also set amongst some spectacular natural landscapes (see our Bonao pages for some photos!). Or what about the Dominican Republic's 'second city', Santiago, or maybe bustling San Francisco de Macoris, or a smaller town like Moca – all within the compass of some of the Island's most fertile agricultural land in the Valle de Cibao – these towns, too, may present those with a desire to find Caribbean investment property at attractive prices, away from the tourist hordes, with some interesting possibilities. For those looking to invest in a true 'Luxury Caribbean Resort' - some TIPS! 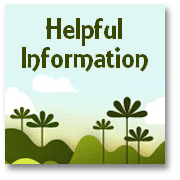 If our Caribbean investment property, and Dominican real estate pages still do not answer the questions you have - send us your query - we may be able to help! Or we may at least 'know a man (or a woman) who can assist you with your real estate dreams.